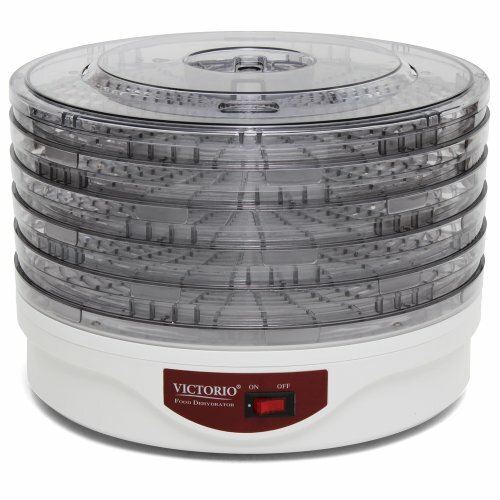 Making dried fruit and jerky is simple and convenient with the VICTORIO VKP1006 Food Dehydrator. With five 13-inch Drying Trays included and a capacity of up to 9 Trays, you'll have room enough to quickly dry several pounds of fruit, vegetables and meat. Includes instruction booklet.